In the last frenzied days before Israelis go the polls, the new Beyahad party has put compensation for Jewish refugees from Arab countries at the top of its political manifesto. Beyahad is headed by Eli Yishai, who broke off from the main Shas party, and includes the splinter group Moetzet Hakhmei Hatorah. The Beyahad website commits the party, if elected to government, to work with the Jewish organizations from Arab countries in order to implement their rights and to develop the initiative of funding compensation for refugees through the Clinton Plan. The Beyahad platform also includes a paragraph on improving education about Jews from Arab countries in schools as well as promoting their heritage and history. Other parties also mention the Jewish refugee issue, such as Yisrael Beteinu and the Zionist Union. However, Beyahad is the first party to recommend compensation by way of the Clinton International Fund. The driving force behind the Beyahad initiative is MK Nissim Zeev, who followed Eli Yishai out of Shas. There is no doubt that the Jewish refugee issue is close to Nissim Zeev's heart. It was Zeev who introduced the bill passed in the Knesset in 2010 requiring compensation for Jewish refugees to be on the peace agenda, and also initiated the idea of instituting 30 November as a Memorial Day for Jewish Refugees from Arab countries in the Israeli calendar. 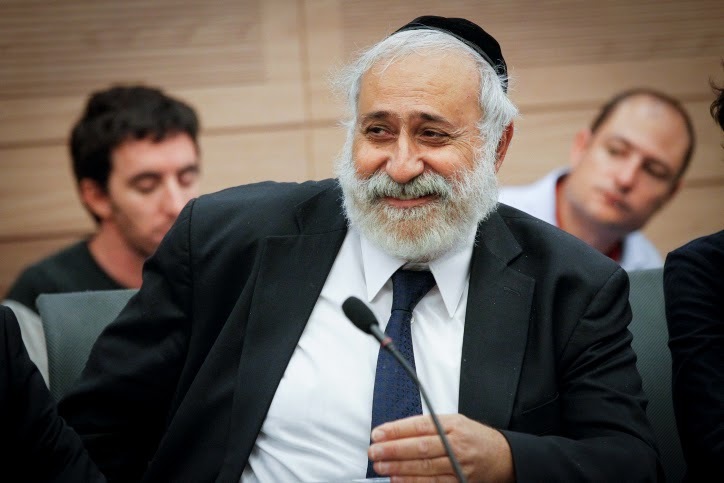 When Shas became part of the opposition, the Memorial Day bill was shepherded through the Knesset by Shimon Oyahon MK of Yisrael Beteinu. Zeev, who stands a good chance of being re-elected to the Knesset, last week convened a meeting with organisations representing Jews from Arab countries, and is seeking to get ex-President Bill Clinton, who first proposed the idea of an International Fund at the Camp David talks in 2000, to kick-start the fund. All countries would contribute to the International Fund, including Arab countries and Israel, although the US is likely to donate the lion's share. The fund would be used to compensate both Jewish and Palestinian refugees. The commentator Nahum Barnea caused a stir recently in Y-net News when he asked if the Kerry peace talks last year had taken seriously the Jewish refugee issue. The very next day, the article brought forth a robust 'yes' from Netanyahu's office: he and his chief negotiator Yitzhak Molho had not agreed to any proposals which excluded Jewish refugees. Molho had taken over from Tsipi Livni after her failed talks with Abu Mazen. Perhaps to make up for her lukewarm approach to the Jewish refugee issue, Livni's Zionist Union, which she heads with Labour's Yitzak Herzog, added the folllowing unexpected words to their manifesto:"the rights of Jewish refugees from Arab countries must be addressed in any final-status agreement." However, organisations representing Jews from Arab countries are disappointed that the Zionist Union does not intend to raise the rights of Jewish refugees from Arab countries during the negotiations themselves. That party so far has 4 seats. There is no garantee it'll make it at he Knesset. Even if it does, the head of the party is Eli Yishai who has been slandered in major newspapers in blogs and in Blumenthal's book in the worse of ways for a statement he didn't make himself but was merely paraphrasing. It is unjust and revolting, but as a result of that slander, Eli Yishai has been vilified in the anglosphere to a point of no return and therefore I doubt very much that anyone will listen to someone associated with him from his party. Eli Yishai could sue them all if he wanted to because the evidence is widely available. There is no way Blumenthal didn't see it. He could take Blumenthal for every penny he made out of that book and much much more. But will he? This is to say one must exercise some caution here too. Well since then Max Blumenthal has published a book (2013) in which one of the chapters' title is "this belongs to the white man" a reference to the statement attributed to Eli Yishai but in reality was the paraphrase of a statement uttered by an African Muslim during the confrontations in South Tel Aviv in 2012. Blumenthal has been pushing his book in the four corners of the world including the view of the racist North African Jew who thinks he is white but who "in the US would not be considered white",as he declared in an interview with Salon. This is not true of course anymore than the statement attributed to Eli Yishai is true. Mediterranean indigenous people, whether from the Middle East, North Africa, the Italian Riviera or the Costa del Sol are considered white in the US. But perhaps Blumenthal thinks Tunisia is tucked away somewhere between Burkina Faso and Nigeria. To think that he spent four years of research including one year in Israel piling up lie upon lie is mind boggling. One of the problems with the infiltrators/work-seeking-migrants/ is that those who are Muslim [from Sudan and Eritrea] already have a reason to hate and despise Jews, on religious and ethnic grounds. As to the US, back in the 1950s, there was tremendous hatred of Black people. However, the majority usually accepted swarthy caucasian people as white, such as some of my family relatives, as well as many other Jews, Greeks, Italians, Armenians who were living there. Yet there were some who said: Jews [sometimes Italians] are N*****s turned inside out. Today, the southern state of Louisiana has a governor of Hindu Indian background. And that's a southern state. So the Americans have come some way.